Whether you want to be prepared for an emergency on campus, at home, or when traveling in the wilderness, make sure you have the proper training to safeguard yourself and others. CPR and an approved wilderness first aid course can help prepare you to handle a first aid emergency. This CPR class (also known as BLS (Basic Life Support) Healthcare Providers Course) teaches the skills of CPR for victims of all ages including infants. Instruction covers ventilation with a barrier device, a bag-mask device, and oxygen; use of an AED (Automated External Defibrillator) and relief of foreign body airway obstruction in responsive and nonresponsive victims. This course is designed for healthcare providers such as lifeguards, parents, athletic trainers, physicians, nurses, and EMTs. Wilderness EMT’s and Wilderness First Responders are also required to be certified at the BLS level. Course fee includes course manual and certification good for 2 years: $50 for students; $65 faculty and staff. Sign up at the OA TripStore. For OA Leaders-In-Training: this course provides an additional ~1 hour of training (for infant section) and does satisfy the CPR requirement of the leader training program. 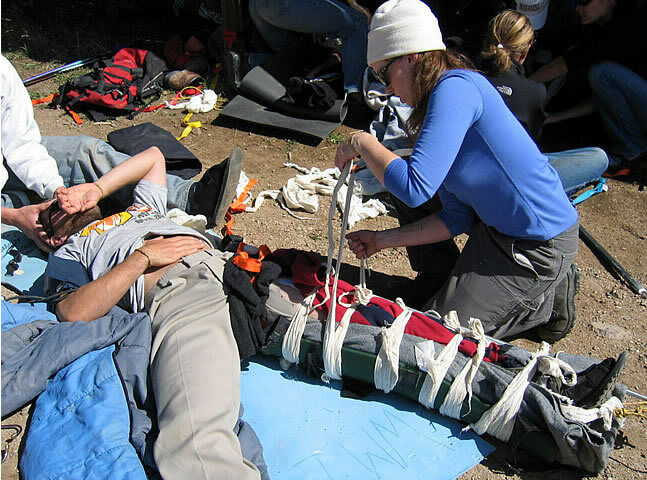 This intensive course covers patient examination and evaluation, body systems and anatomy, wound care, splinting, environmental emergencies, and backcountry medicine. Hands-on simulations provide first-hand training in treating patients. This is an excellent course taught by experienced Wilderness First Responders and Emergency Medical Tenchnicians and is highly recommended to anyone traveling in the outdoors. Successful completion of the WFA and CPR courses fulfills the First Aid requirements for OA Leader Training (other first aid courses do as well, contact the OA Office for more information.) WFA course fee: $105 students, $130 faculty/staff. Sign up at the OA TripStore. Question: I am already certified in CPR do I have to take CPR again? Answer: All OA Leaders must be CPR certified. 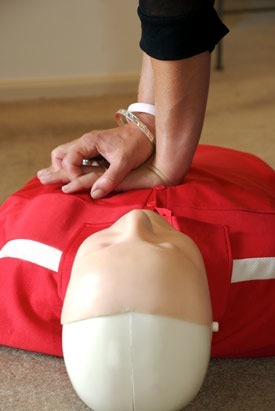 If you are currently certified when HEART starts you do not need to take CPR at that time. However, whenever your CPR expires you will need to take a refresher course. Question: I am an EMT do I need to take HEART? Answer: Emergency Medical Technician training is a great skill. There are some fundamental differences between "street" first aid and "backcountry" first aid. It is also important to understand OA first aid protocols so all EMT's are required to take the HEART course. It will be a bit of review and ensures that all OA staff are operating from the same knowledge base. Question: Do you offer Wilderness First Responder Courses? Answer: Yes, we offer a Wilderness First Responder (WFR) course each January during intersession. The course is 8 days long and it satisfies the OA first aid requirement for leaders. Question: Do other first aid courses count? Answer: The Wilderness First Responder (WFR) and the Wilderness Advanced First Aid course (WAFA) offered by SOLO, Wilderness Medical Associates and the Wilderness Medicine Institute counts. The 16-hour Wilderness First Aid (WFA) course does not count as a replacement for HEART Wilderness First Aid. OA Leaders are strongly encouraged to become authorized van drivers. You must complete an online course and quiz on driving mini-vans. Drivers must also complete a 30-minute road test. To gain access to the online course and schedule a road test see the Public Safety Office website for more information (http://web.princeton.edu/sites/publicsafety/FleetSafety.htm). OA Guide to Outdoor Safety Management - explains how accidents occur and how to reduce the risk of accidents through effective pre-trip planning and trip leadership. OA Guide to Developing a Safety Management Program - a guide for outdoor programs to help them implement a Safety Management Program. OA Guide to Planning a Safe River Trip - an article about how to run a safe river trip that applies the Dynamics of Accidents Model to paddling situations. OA Paddling Decision Tree - a checklist to help you decide "do I run this drop or not?"